Found in creosote bush scrub and open sandy areas to 3000 ft. Dominant Species: desert lilies, lupine, verbena, primrose. ... Dominant Species: desert star, blazing star, monkey flower, poppies, verbena, evening primrose. 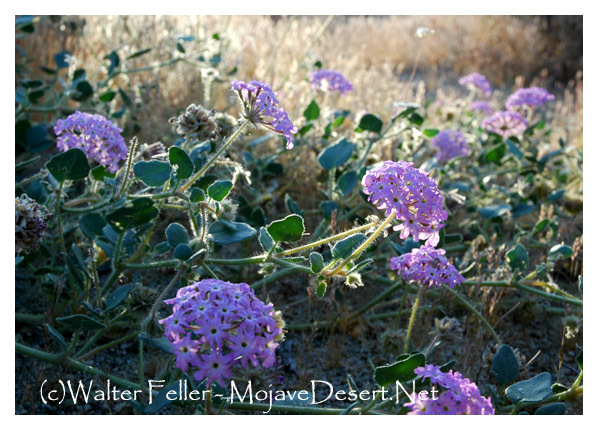 Examples of such wildflowers are sand verbena (Abronia villosa), Mojave aster ( Xylorhiza tortifolia), and dune evening primrose (Oenothera deltoides).